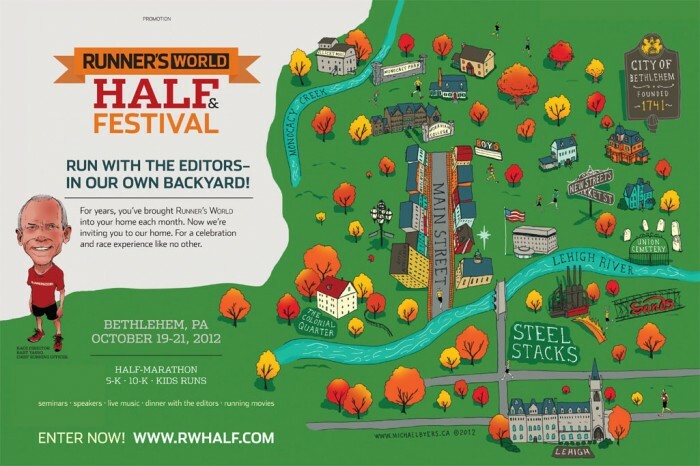 Levy Creative Management artist MICHAEL BYERS creates a great map for The Runner’s World Half & Festival in Bethlehem, PA. The race & festival will take place on October 19-21, 2012. They are featuring a half marathon, 5-K, 10-K & kids run. Sounds like a great time Bethlehem! For more information about the race, go here! The map will be featured in Runner’s World in the months leading up to the event.